What is Astaxanthin is a keto-carotenoid. it belongs to a larger class of chemical compounds known as terpenes, which are built from five carbon precursors;Isopentenyl diphosphate (or ipp) and dimethylallyl diphosphate (or dmapp).Astaxanthin is classified as a xanthophyll (originally derived from a word meaning "yellow leaves" since yellow plant leaf pigments were the first recognized of the xanthophyll family of carotenoids), but currently employed to describe carotenoid compounds that have oxygen-containing moities, hydroxyl (-oh) or ketone (c=o), such as zeaxanthin and canthaxanthin.Indeed, astaxanthin is a metabolite of zeaxanthin and/or canthaxanthin, containing both hydroxyl and ketone functional groups.Like many carotenoids, astaxanthin is a colorful, lipid-soluble pigment.This colour is due to the extended chain of conjugated (alternating double and single) double bonds at the centre of the compound.This chain of conjugated double bonds is also responsible for the antioxidant function of astaxanthin (as well as other carotenoids) as it results in a region of decentralized electrons that can be donated to reduce a reactive oxidizing molecule. Astaxanthin is found in microalgae, yeast, salmon, trout, krill, shrimp, crayfish, crustaceans, and the feathers of some birds.It provides the red color of salmon meat and the red color of cooked shellfish.Professor basil weedon's group was the first to prove the structure of astaxanthin by synthesis, in 1975. Astaxanthin, unlike several carotenes and one other known carotenoid, is not converted to vitamin a (retinol) in the human body.Like other carotenoids, astaxanthin has self-limited absorption orally and such low toxicity by mouth that no toxic syndrome is known.It is an antioxidant with a slightly lower antioxidant activity in some model systems than other carotenoids.However, in living organisms the free-radical terminating effectiveness of each carotenoid is heavily modified by its lipid solubility, and thus varies with the type of system being protected. 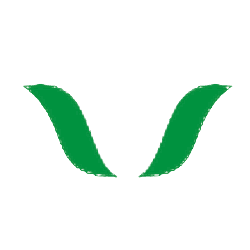 Haematococcus pluvialis is a freshwater species of chlorophyta from the family haematococcaceae.This species is well known for its high content of the strong antioxidant astaxanthin, which is important in aquaculture, and cosmetics. 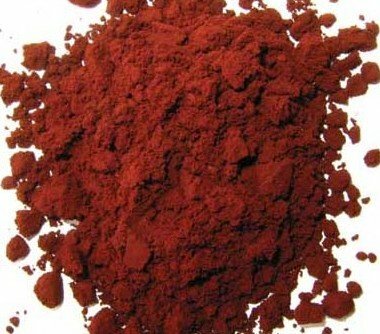 the high amount of astaxanthin is present in the resting cells, which are produced and rapidly accumulated when the environmental conditions become unfavorable for normal cell growth.Examples of such conditions include bright light, high salinity, and low availability of nutrients. haematococcus pluvialis is usually found in temperate regions around the world.Their resting cysts are often responsible for the blood-red colour seen in the bottom of dried out rock pools and bird baths.This colour is caused by astaxanthin which is believed to protect the resting cysts from the detrimental effect of UV-radiation, when exposed to direct sunlight. 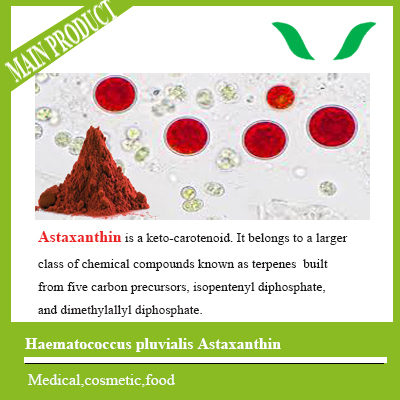 Astaxanthin is a powerful antioxidant that it is 10 times more capable than other carotenoids, so it is beneficial in cardiovascular, immune, inflammatory and neurodegenerative diseases.It also crosses the blood-brain barrier, which makes it available to the eye, brain and central nervous system to alleviate oxidative stress that contributes to ocular, and neurodegenerative diseases such as glaucoma and alzheimer's. For its high-performance antioxygenic property, it can protect the skin from ultraviolet radiation damage and effectively reduce melanin deposition and the formation of freckles to keep skin healthy.At the same time, as an ideal natural coloring agent for the lipstick can enhance the radiant, and to prevent the ultraviolet injury, without any stimulation, safe. Powerful antioxidant effects, increase strength and endurance. 5.With the function of enhancing immunity.